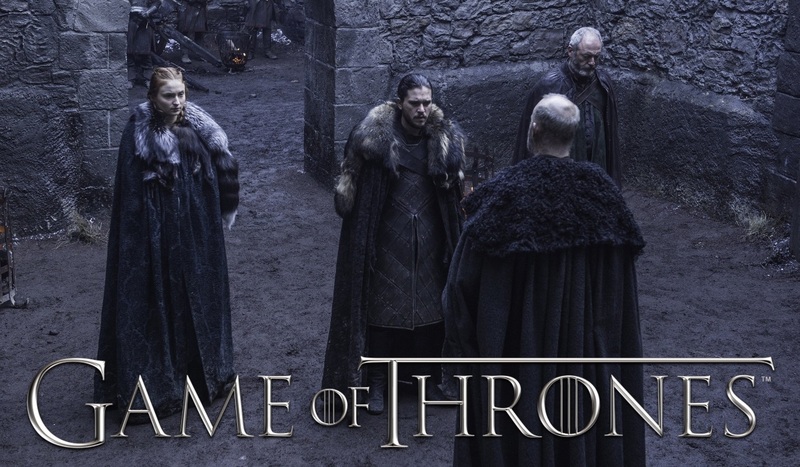 Jon Snow, Sansa and Ser Davos manage to secure the allegiance of House Mormont when Davos warns the young Lady Lyanna Mormont of the dangers the White Walkers pose. However, they are unable to secure the allegiance of House Glover, with Lord Robett Glover pointing out how Robb failed to protect his home from the Ironborn. Lord Glover: Yes, my family served House Stark for centuries. We wept when we heard of your father’s death. When my brother was lord of this castle, he answered Robb’s call and hailed him King in the North. And where was King Robb when the ironborn attacked this castle? When they threw my wife and children in prison and brutalized and killed our subjects? Taking up with a foreign whore. Getting himself and those who followed him killed.